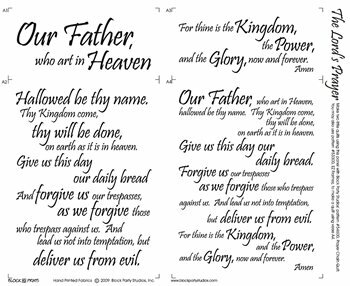 This pack includes, The Lord’s Prayer, Psalm 23 and Trust in The Lord panels. With the purchase of this pack you will receive our Prayer Chain Pattern Free, which has two versions included! All 3 Panels and pattern shown. Version 1 pattern makes 19 1/2" x 31 1/2" wall hanging (shown), and persion 2 makes 19 1/2" x 22 1/2" wall hanging.